Cascade Die Casting received $14,000 in grants from the state’s Skilled Trades Training Funds to support training at its plants in Grand Rapids and Sparta. David Finnila works on robotic equipment at the company’s Sparta location. GRAND RAPIDS — With Cascade Die Casting Group Inc.purchasing up to a dozen new robots every year, the company has realized its investments can’t stop with just the equipment. Rather, Cascade Die must deploy a parallel investment strategy that helps bring employees up to speed and ensures they have the skills necessary to perform their jobs, according to President Patrick Greene. Like many employers in West Michigan, Cascade Die Casting has leveraged the state’s Skilled Trades Training Fund (STTF), a program that awards grants to companies to train and develop individuals or to retrain current employees. The program provides $1,500 to train individuals in short-term customized classes and up to $3,000 to support newly registered apprentices. The grant funding makes life a “lot easier” for employers, according to Greene. “It takes some of the financial barrier away from the organization and allows us to (train) quicker,” he said. In place since 2014, the STTF grant program has proven to be a key resource for companies in ramping up their training and apprenticeship programs, especially in an era of low unemployment when skilled labor is hard to find for many positions. 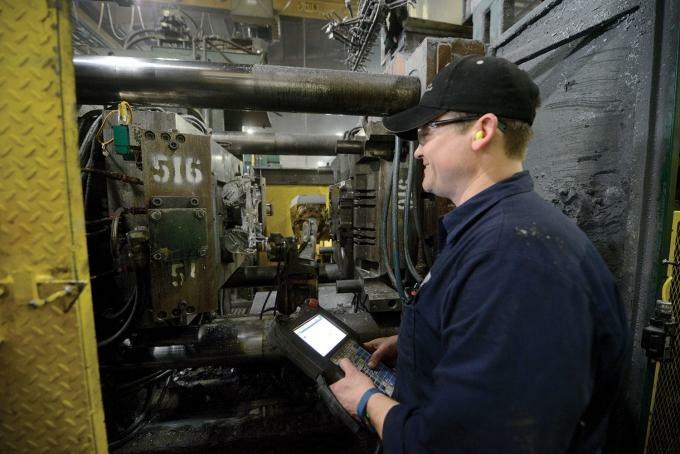 For Cascade Die Casting, an automotive supplier with local operations in Grand Rapids and Sparta, the funds are used to train maintenance employees in hydraulics, die casting and in automation and robots. To view the original article in its entirety, please visit MiBiz.